Stop right there, to know some facts about mountains in Africa! So, you’ve decided to hit the roads and go for hiking thru Africa. Interesting choice but the question you’re possibly asking yourself is where is it that you can go to enjoy hiking in a tremendous experience like never before. Forget about the lame prejudice people have, the golden answer is Africa. It is a sure bet that you will leave there with a story to tell forever. Here is why? Africa is a continent with over fifty countries each holding its jaw-dropping, eye watering rich nature. With amazing natural, historical, man made and so much features all situated in Africa you can’t go wrong. Not a satiating point? Well it is only in Africa second to the Amazon Forest that you will find diverse animal species that you cannot find anywhere else. Don’t you want to see them? And what’s more, Africans are very hospitable and welcome any visitor warmly. They’ll eagerly want to help you out wherever you feel stranded. No doubt, where else do you find such three in one perfect combo? It’s the only continent that you will never have enough of. While hiking, enjoy Africa’s beautiful landscapes. 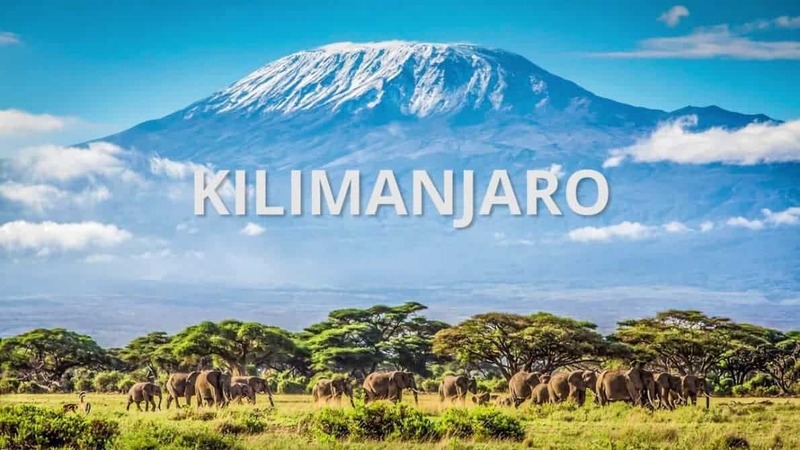 Without further ado let me take you to the list of the top ten hiking places you can go in Africa in case you haven’t made your mind on where to visit. It’s a junkie worth list that needs to be voluptuously covered. Buckle up and let’s start packing your backpack for travel. Have you ever felt like you want to be in charge of the world, all of it under you? Then the summit of Mount Kilimanjaro is where you need to be. With the rich snow on the mountain, the experience is simply breathtaking. It’s the highest mountain in Africa rising up to 19, 308 ft. However here is the catch, you should be ready to rub shoulders with the altitude. Not to worry, it’s worth the take. Second to Mount Kilimanjaro, Mount Kenya tops as Africa’s second highest mountain and highest in Kenya. With Mount Kenya, reaching the summit needs climbing via ice route or rock varieties. If that sounds too technical for you, then Point Lenana comes as a second option for you to hike to. It’s Mount Kenya’s side peak. From there, you’ll gain impressive rock Nelion and Batian towers views. Not to forget the beautiful Mt. Kenya National Park landscapes and lake glaciers. Also referred to as ‘Mountains of the Moon’ due to the peaks that are snow capped this mountain range that’s legendary was believed to be River Nile’s source by Ancient Greek explorers. The mountains are situated at Democratic Republic of the Congo (DRC) and Uganda borders. Central Circuit Trail being well maintained is a route that is very striking which will take an average of a week to cover with a lot of huts on the way. Although Mount Rwenzori doesn’t lack animals but it becomes hard to spot them. Such animals include hyrax, hog, white and black colobus, bushbuck, chimpanzee, blue monkey, buffalo and leopard. In addition you’ll find over two hundred species of birds of which nineteen are endemic. Deep in the highlands of Lesotho is where you will find inner peace as it is Africa’s highest top nature reserve. Hiking trails in Bokong Nature Reserve are interconnected with one of the routes heading to the Katse Dam which has a reputation of having highest Africa’s dam wall. At Bokong, there’s an interpretive trail that’s 45 minutes long and full and half day walks. You might also want to try out a 40 km hike which takes three days along ‘Africa’s Roof’ which heads to Ts’ehlanyane which is Lesotho’s largest National Park. Bokong consists of wetlands, heathlands and grasslands not to leave out the Maloti Mountains surroundings. Lesotho also boasts of Lepaqoa waterfall that freezes come winter. You don’t want to miss this exhilarating adventure. This is amongst the world’s greatest treks that are long distanced. It’s about 650 whooping km. Commencing in Western Cape’s Cederberg Wilderness Area, the trek leads you to Cape Mountains. You’ll end at Outeniqua’s foothills while viewing amazing scenarios while you’re on the ridge lines, trails and old paths on Garden Route. It’s up to you to choose if you want to trek the whole route on September up to November or subdivide the whole route into shorter weekly sections. The Simien Mountains of Ethiopia are a global Heritage site consisting of 4500 meters tall pinnacles, valleys and plateaux which home animals like caracal, ibex, gelada and wolves. When you hike Simien Mountains, get ready to experience extraordinary cloud wrapped peaks and hills, landscapes, waterfalls, streams and deep gorges. If your aim is heading to Central Africa, well then you might want to get a spectacular trek to Mt Mulanje. With a 3000 meters peak, it’s the highest in Central Africa with wealthy variety of trails all for you to choose from. The trails drive you via dramatic waterfalls, forests and green valleys. As if that’s not sufficient, you can spot plenty of wildlife like dassies and monkeys. Always, carry a good camera for travel to record this awesome scenarios. What more is there to ask for? Hiking trails are in dozens each one of them offering a special view of Blyde region. Leopard Trail is amongst the best hikes which lead to Three Rondavels. Three Rondavels are rocks that are round and massive believed to be huts reminiscent of indigenous people. The 85 km, a four day trail shall lead you to the world’s 2ndlargest canyon- Fish River Canyon. Now this hike is not for everyone because it requires strength, fitness and strength. Once you begin, there’s no looking back. It is a tough trail for certain. Why not a good hike to Morocco in the spectacular mountain range? If you want to enjoy an awesome trek is Toubkal National Park. Apart from impressive views, visiting the Morocco region is a time step back, whence you’re able to meet the Berbers and visit villages that have been there for centuries. Do you like the list? I don’t know. But it’s a sure bet that you will not regret if you dare visit these places. Africa with its rich heritage carries more than this. It is all dependent on the bulk of your wallet. If I were you I’d visit every place mentioned above. Good luck hiking.